Ok, we admit – there really isn’t a “best” time for an Indiana divorce.Indiana divorce attorneys know that such matters are messy, emotional, complicated and intimidating. They always require an experienced attorney who can help you navigate through the potential minefields and protect your financial interests and custody rights. So, it’s in that spirit that we wanted to offer some advice on when might be a good idea to act on it when you’ve maybe given it a great deal of thought and things simply aren’t working. Keep in mind that these situations are the ideal – and not every case is going to be like this. Just because yours isn’t doesn’t mean your stuck. Consulting with a skilled Highland divorce attorney can help you explore all the options specific to your unique circumstances. In general, though, one of the best scenarios is when you’ve got minimal or no credit card debt. Before you make the final decision about whether to go forward with a divorce, you will probably want to get a good idea of what your financial situation will be. This includes having a detailed accounting of all your individual and joint debts. Indiana is considered an equitable distribution state, which means that the court will decide what is determined to be a fair and just means of splitting up property. But when it comes to debts, both spouses have a responsibility to pay up on debts they acquired together or on your joint accounts. If you don’t, your credit could take a beating. Secondly, if you own a home together, you may want to consider waiting until housing prices increase. This would help ensure you get the best price for the sale of your home that will cover the remaining mortgage, and possibly give you enough to split. Otherwise, you may want to consider an agreement in which one of you will get the house as part of the divorce settlement. This way, both you and your spouse may be able to preserve your savings accounts, rather than trying to pay up on the difference between the remaining loan and the sale price. Thirdly, it would be ideal if you both had good credit scores. Your score may be impacted during the course of your Indiana divorce if you miss payments while arrangements are still being made. Depending on which spouse leaves the home, one of you is going to need to rent or buy a new place or possibly a new vehicle. Having a good credit score will make this transition easier. Fourthly, if possible, you may want to consider divorcing before you will receive an inheritance. In Indiana, if you receive an inheritance prior to your divorce, you may be required to split some of that with your spouse. If, however, you receive your inheritance after the divorce is finalized, it’s more likely that asset will be protected. And finally, a divorce may be best when your child is in high school. We realize that when children are involved, divorce is never going to be an easy situation. But in looking at the financial implications, one spouse will probably have to pay child support, though it will likely only be for a few years. What’s more, a divorce could actually help your child in terms of financial aid for college. In some cases, colleges will only ask for the income information of the parent who has custody. 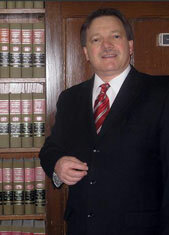 Highland Family Law Attorney Burton A. Padove handles divorce cases throughout northern Indiana, including Gary, Hammond and Calumet City. Call Toll Free 877-446-5294.